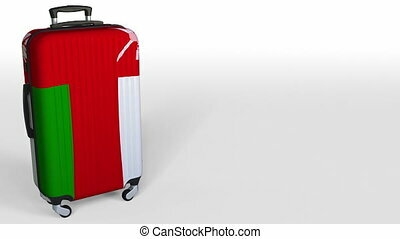 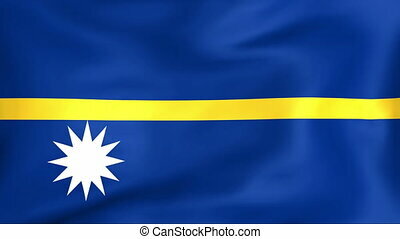 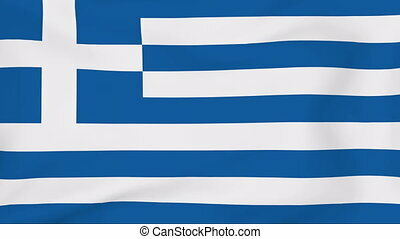 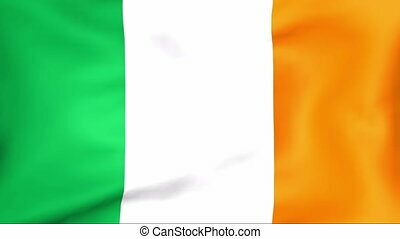 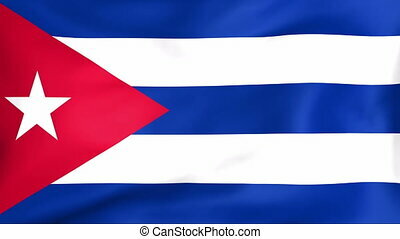 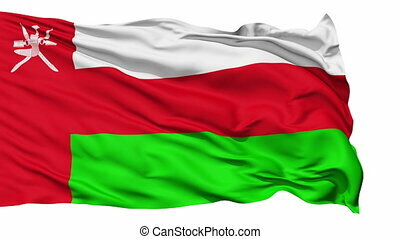 Flag of oman. 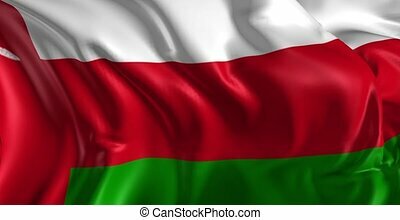 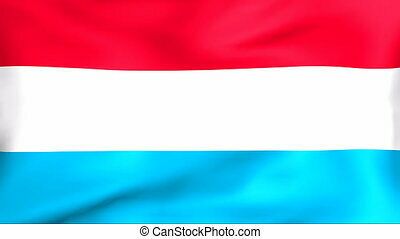 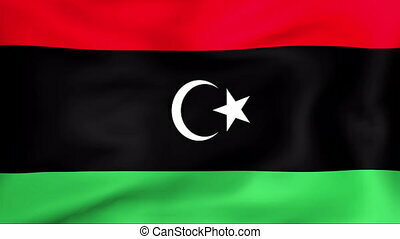 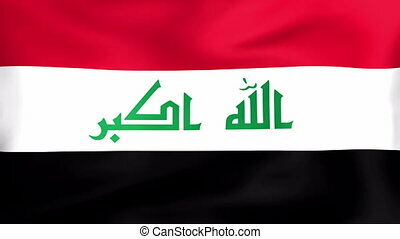 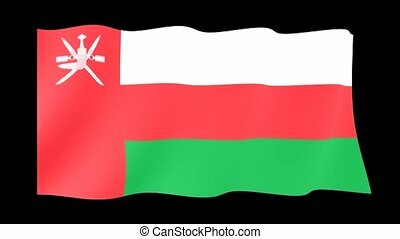 Developing the flag of oman. 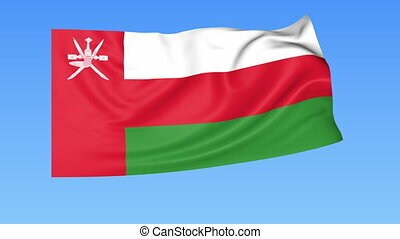 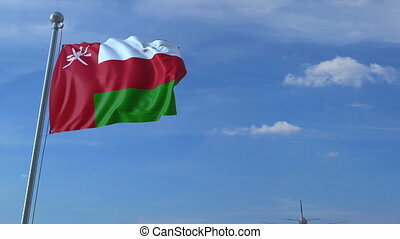 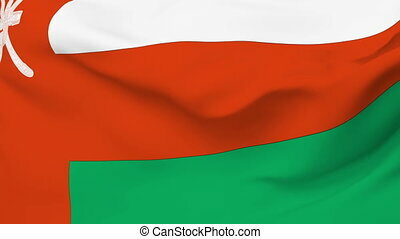 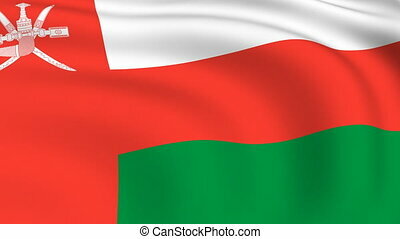 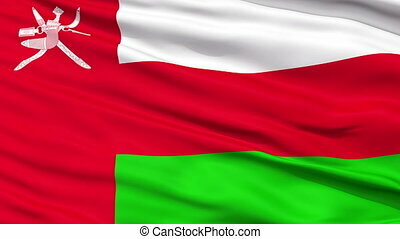 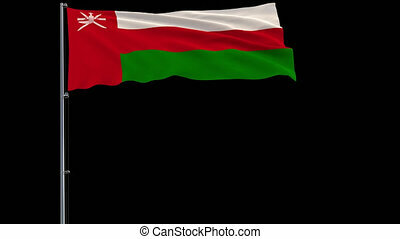 National flag of Oman flying and waving on the wind. 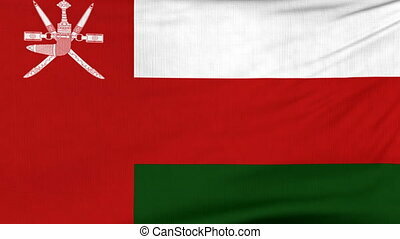 Sate symbol of Omani nation and government. 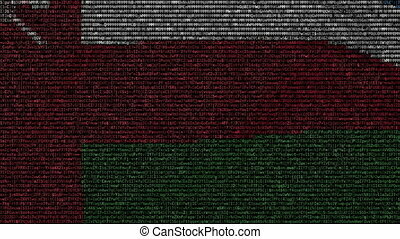 Computer generated animation. 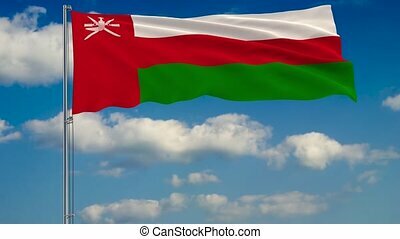 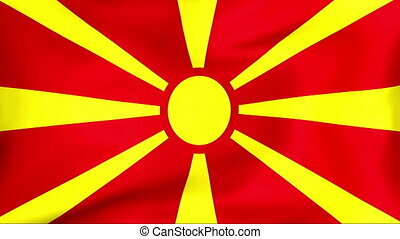 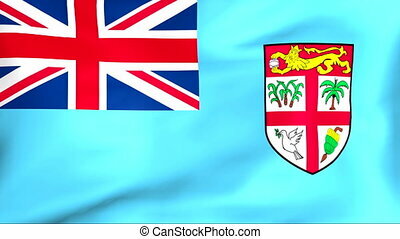 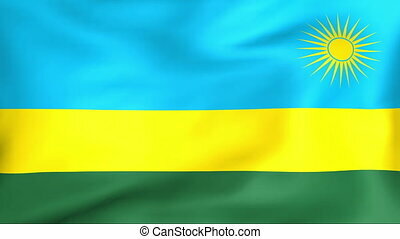 Flag Of Oman on the background of the sky and flying clouds.